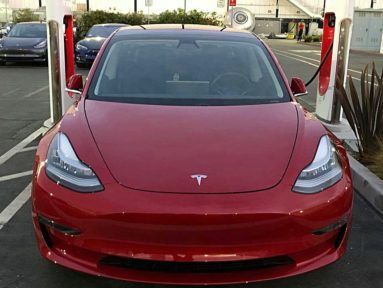 Tesla’s Chief Designer was recently spotted Supercharging a never-before-seen Model 3 with unique badging and red brake calipers. 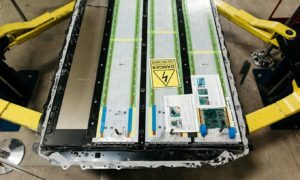 If speculations are proven right, the Tesla community just got its first glimpse of what could very well be the Model 3’s dual-motor Performance version. 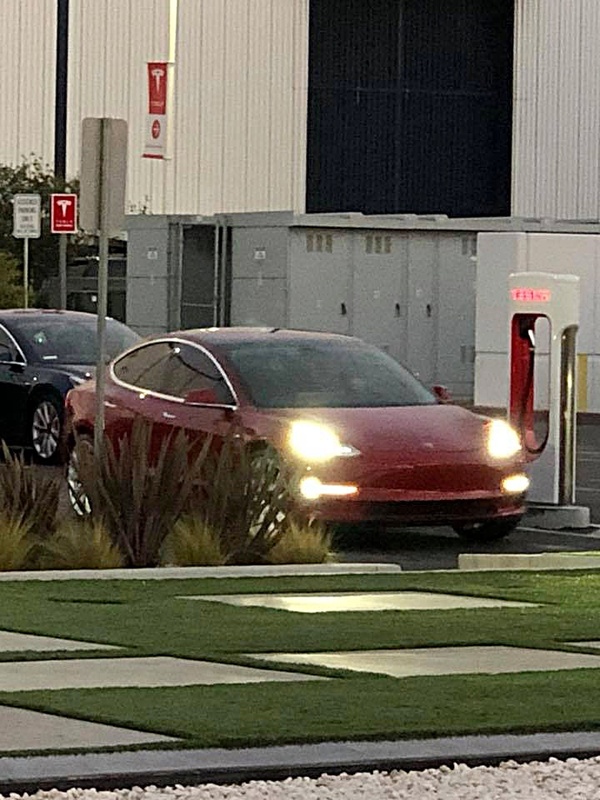 The sighting was reported over the weekend on the Tesla Owners Los Angeles Facebook page, where a member of the community shared a photo of a red Model 3 being charged at Tesla’s Design Center in Hawthorne, California. 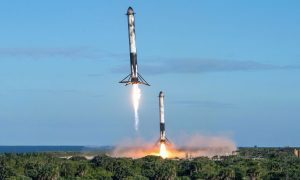 This particular Model 3 seemed to be special, however, since it was being driven by none other than Franz von Holzhausen, the man who designed the electric car. While red Model 3s are already an eye catcher anywhere, several aspects of Franz’s vehicle immediately stood out. 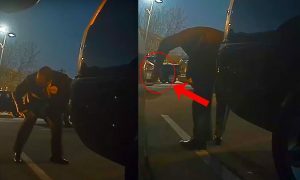 The car, for one, was equipped with red brake calipers, accessories which are commonly used in the Performance versions of the Model S and Model X. 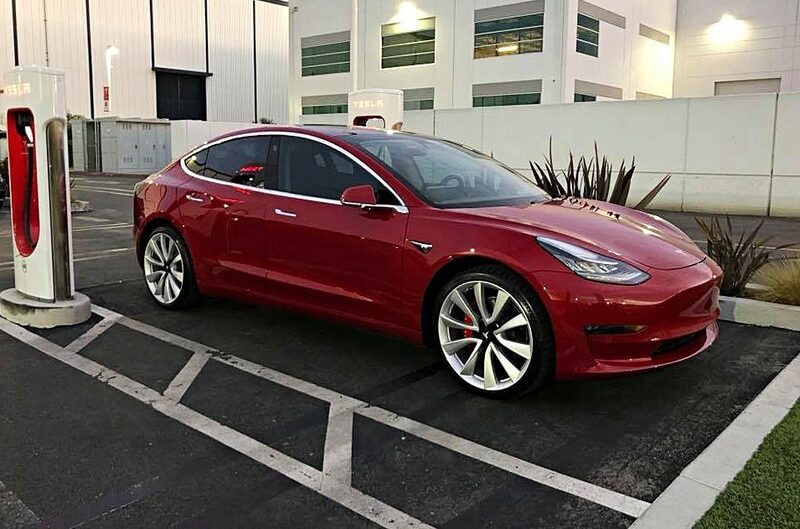 The Model 3 also appeared to be fitted with larger wheels than the optional 19-inch Sport Wheels currently offered at the Tesla Model 3 online configurator, prompting many members of the online community to speculate that Franz’s Model 3 was equipped with 20-inch wheels. Lastly, the badge at the back of the car was different from other Model 3s as well, featuring the word “Tesla,” like the next-generation Roadster, on its trunk. 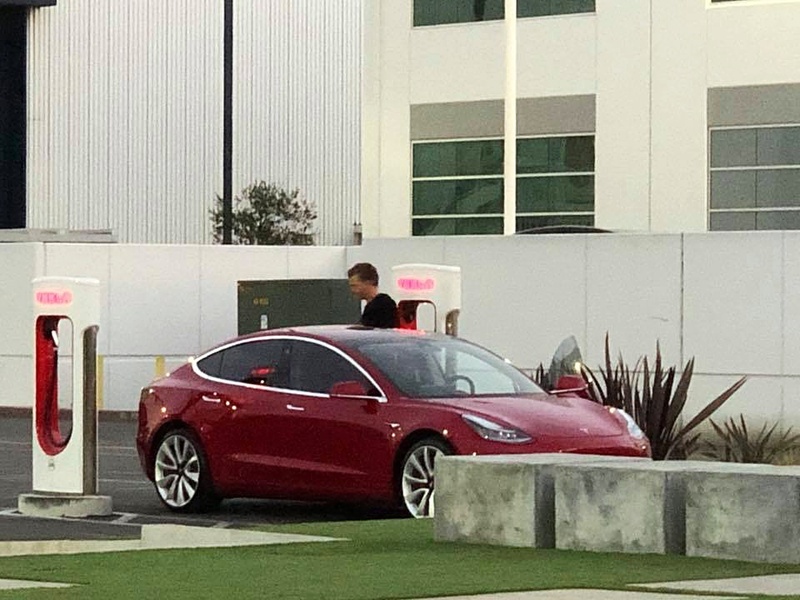 All Model 3s that have been spotted so far had the company’s logo fitted on the trunk of the vehicle. 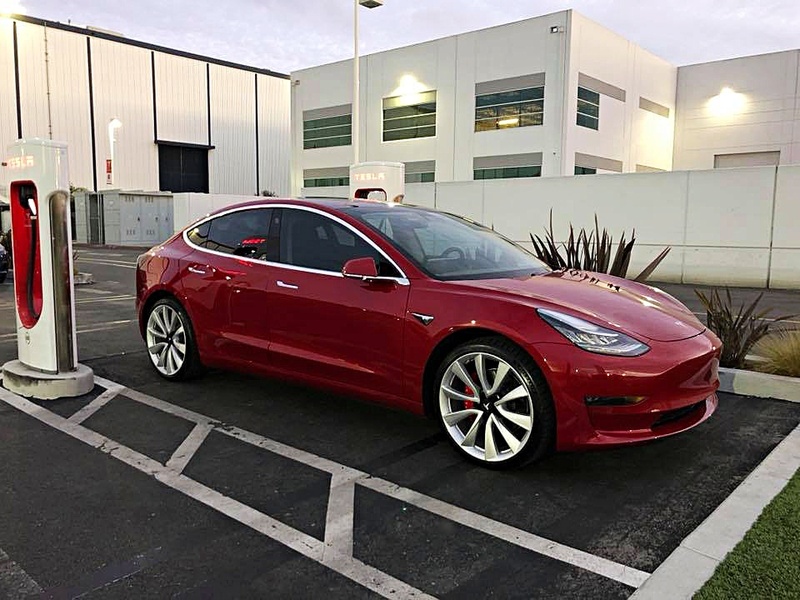 Considering the number of visible modifications on Franz’s Tesla, many members of the online community believe that his car might be a Model 3 Performance variant with AWD. 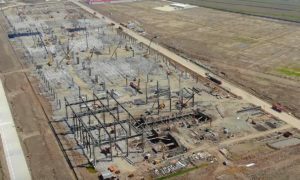 Signs, after all, have been emerging that Tesla would be offering the dual-motor configuration to Model 3 reservation holders soon. Just recently, we reported that Tesla’s online Model 3 Design Studio now includes references to the upcoming dual motor configuration of the vehicle. Furthermore, Tesla enthusiasts noted that the latest batch of Model 3 VINs has references to dual-motor units as well. 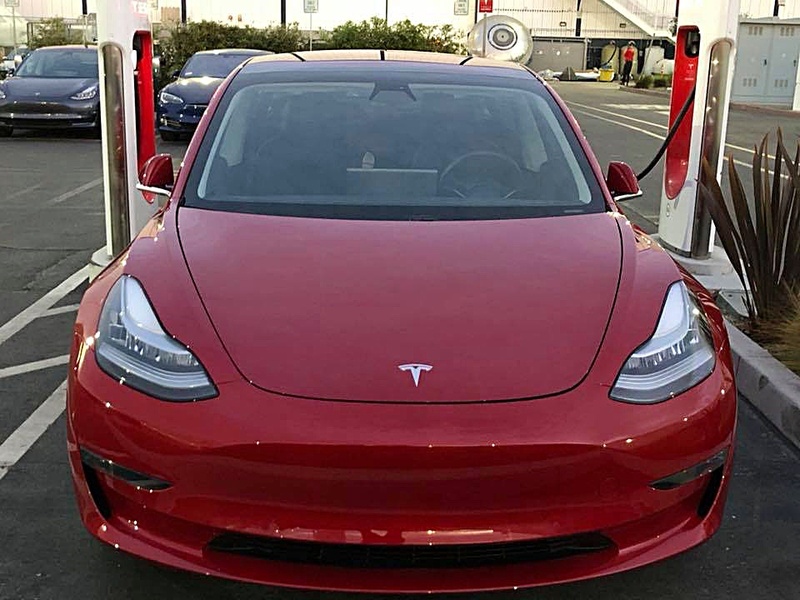 The release of the AWD Performance Model 3 is arguably one of the most highly anticipated developments in the production of the mass market electric car. Since unveiling the vehicle, Tesla CEO Elon Musk has teased several exciting aspects of the performance upgrades for the Model 3, such as smart air suspension and the option to add Ludicrous Mode. 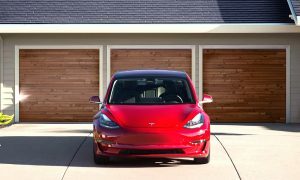 Considering that the Model 3 is a far lighter vehicle than its larger siblings — the Model S and the Model X — Ludicrous Mode on the smaller sedan would likely result in some incredibly impressive performance. 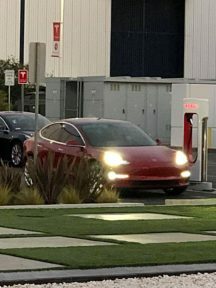 Based on the update to the Model 3 online configurator, the recent batch of VINs, as well as the sighting of Franz’s modified Tesla Model 3, it seems like the California-based electric carmaker is definitely gearing up for the imminent release of the AWD Performance variant of its most disruptive vehicle yet.